on the color and turn up the volume on the lights. This quilt is light and airy and perfect for a cool spring evening. I love the way mine came out. Want to make one of your own? Leave a comment for a chance to win this APQ Magazine. It includes this pattern and many other great projects. or on facebook like this post for 2 more chances to win. I enjoyed seeing the other designers make this quilt too. I would love to give it a go! I would love to win this magazine. Thanks for the chance. Love it! Another one for my bucket list!!!! I would love to win the magazine. Not a follower on FB, but will rectify that in about 2 minutes! Enjoy all the projects you share throughout the year. I have seen this quilt in so many different fabrics and every one is beautiful ! I have enjoyed seeing all the different versions of this quilt. I would like to try my hand at making my own. What a stunning quilt! Would love to win the magazine! Are you kitting up your color choices? i love low volume fabrics and this is a beautiful quilt! Like the low volume fabric's used. Your quilt is beautiful. I would love the win the magazine. Thanks. I would love to make this quilt. I missed getting this particular copy and would be a happy camper to win one. 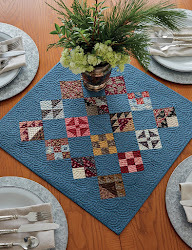 I love this low volume quilt , stunning ! I would love to win the magazine , thanks for the chance . It's a beautiful quilt. Thanks for the giveaway. You have done it again! This is my favorite version of this quilt. I love the way your version finished! The quilting is always the icing on the cake! Your quilt looks great and I love your choice of fabrics. Thanks for a chance to win the pattern. I love the vintage look of this quilt. My kind of quilt; scrappy and with good contrast between light and dark. If I don't win the mag. I will have to look for it on the mag. racks of my favorite quilting store. Love the simplicity. Would love to make it for myself! Thanks for the great drawing... You guys always make it so interesting with a lot different quilts... Love 'em!! Have seen many versions of this quilt. Your's is right up there among the best. Thanks for sharing. Love the small blocks! Would love the magazine I'm sure! Such a wonderful pattern - it would be fun to win the magazine and make my own. Thanks for the giveaway. I've seen low volume quilts and always wanted to try my hand at a pattern. Yours is very pretty! I enjoyed following the various designers as they made this quilt. I would love to win the magazine and try it for myself. Thanks for the chance. Thank you. I saw lots of designers making this but missed getting a copy of the magazine. thank you for the giveaway. I have seen pics of this quilt and absolutely love it. Love it! My subscription ran out on this magazine. I missed this issue. I probably should resubscribe at some point soon! I loved visiting your shop while in Temecula for my daughter's wedding. Thank you for this and all of the other inspirations you give us. I am hooked! 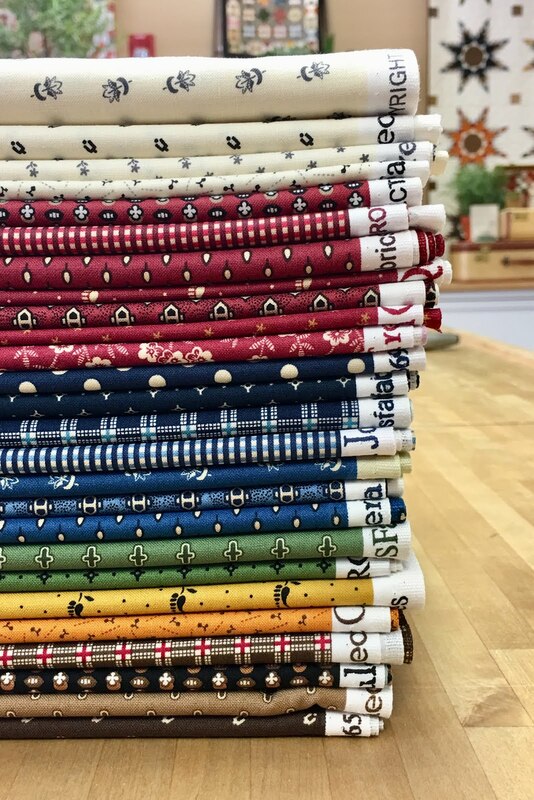 Your projects are always so wonderful and I love the idea of taking the tradtional "Burgoyne Surrounded" Low Volume! This opens my mind to look at other "To Do" projets and think about if they might also look good done that way. A fun giveaway - would love to try this pattern but don't know if I could really make it low volume or not. I guess it would be a challenge for me to try! Thank You for such a great opportunity!! 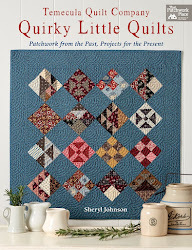 I just love the look of this quilt and can't wait to get started to give it a try. 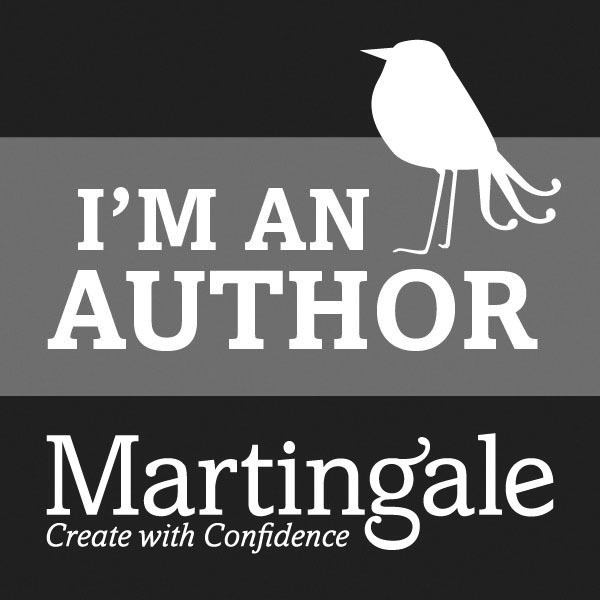 Enjoy your posts....your blog is fantastic. Such a fabulous quilt.Love the projects you share and once again this caught my eye.Thanks for the chance!! Love the colors and design of this quilt. For sure it is one I see myself making in the near future. Love the quilt and the "low volume" colors. Thanks for the chance to win a copy of the magazine. J'adore ce patch. Je ne connais pas ce magazine, alors je tente ma chance... on ne sais jamais ! I love this quilt. I do not know this magazine, then I try my chance… one never know! I really like your low volume quilt! Thanks for the oppportunity to win the magazine. What a great quilt and of course I love that magazine. Thanks for the opportunity. Love this scrappy quilt. So many things can be done with 9 patches. I bet that is not the only one in the magazine I would want to make. And if I don't, then I'll try, try again! Wonderful quilt - always love your projects! Love the way your quilt turned out! This looks like a fun quilt to make!